Ladies, we should stop fooling around and we should speak straight, after all everybody knows that for your wedding ceremony you desire nothing more than a flawless look. Well, if this is something you really desire then you should know that this is feasible, just focus on this and your whish will become true. Because your makeup and hairstyle matter a lot when creating something like this you should work only with professionals. This means that you will have to look for the best and then to make sure that you may pay for their services. Yes, a perfect look implies you spending a considerable amount of money, so make sure that this won’t be a problem for you. Anyway, check the Internet, ask for recommendations, you could even look in the newspaper, and thus the perfect persons for the job will be found. But, these aren’t the single services that require money. 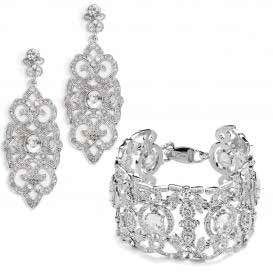 You will have to pay a lot for your wedding dress, your wedding shoes, your bridal accessories and your jewelries. After all, you don’t want to look cheap and unattractive at your nuptials; you want that perfect and flawless wedding appearance. Anyway, you mat have the money, but if taste and elegance is what you lack, then you should get inspired form fashion icons or you should take some friends with you. But make sure that these will be your real friends who won’t let you make the wrong decision. And, last but not least there are a few things that will help you look flawless that don’t cost a thing. Having a great mood and smiling all the time will show that you are really happy you are marrying your long time beau. So, don’t let anything upset you on this beautiful day, because as you well know the best accessory that a woman has is her smile. Also, don’t let this become an obsession. You are beautiful and therefore you should focus on emphasizing your naturalness. So, stop thinking about perfection, just go with the flow and let professional do their job. 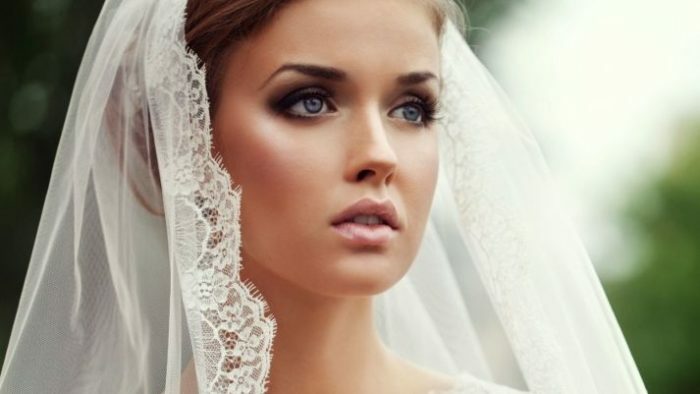 You will see that in the end you will totally expose a fantastic bridal look. So, a flawless look is not impossible to obtain. Just remember that your uniqueness and personality must be included in everything that has to do with your wedding ceremony, so that the final result will be perfect from your point of view.